It's fun and delightful and helps you visualize your dream music fest in the fomr of a fun poster! You know it's hard for this dream line up to be a reality -- perhaps it could help make that come true? Niv has used this product for one day. It's fun! I'm glad that we have "last 1 month, past 6 months or 1 year" options. It would be so much better if I could download the illustrative-colorful version. I took a screenshot and shared it. I think you need a special domain for this project. I've seen someone didn't want to log in with their Spotify account because the domain a bit unreliable. This is really fun! I always love when Spotify does similar things, but this is way prettier. 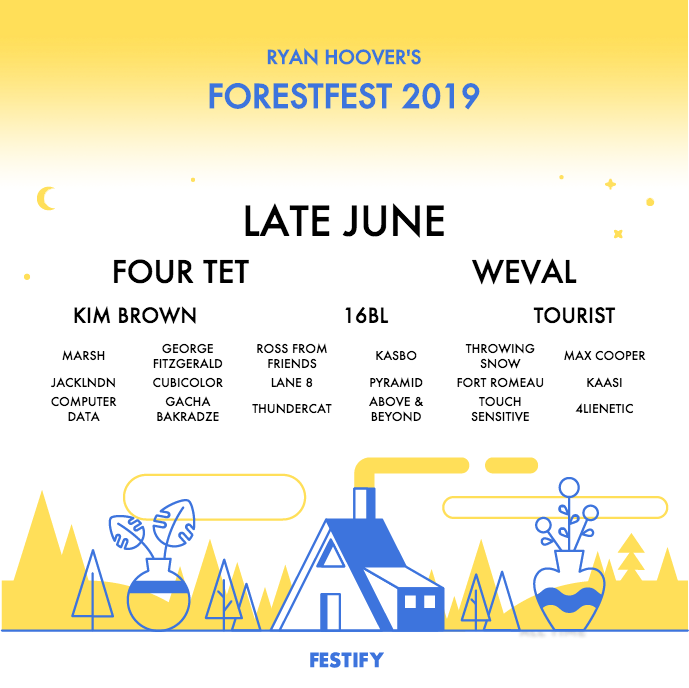 Only thing I will call out is that "Festify" is already a Spotify-powered Jukebox (https://festify.rocks/). @rrhoover been listening to Late June all morning. Good stuff! Max Colls@maxcolls · APIs for estated.com. Always learning. @kunalslab @rrhoover whatever you do, just don't schedule ForestFest in May. @rrhoover @chrismessina we'll do it whenever you come to Boston and when there are no mosquitoes!